In this post we would write about all the general aspects related to the ESP32 chip references described in the ESP32 datasheet with the intention of learning some important features around this tool like; pin definitions, functional description, peripherals and electrical characteristics. Any comment and corrections are very welcome to enrich this study. All the information is based in the Version 2.1 of the ESP32 datasheet. The content we will cover in this study. 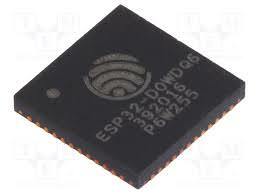 - ESP32 is a single 2.4Ghz Wifi and Bluetooth combo chip designed with TSMC ultra-low-power 40 nm technology. It is designed to achieve the best power and RF performance, showing robustness, versatility and reliability in a wide variety of applications and different power profiles. - The image below correspond to package type QFN 6x6, other packages have different pin distribution. 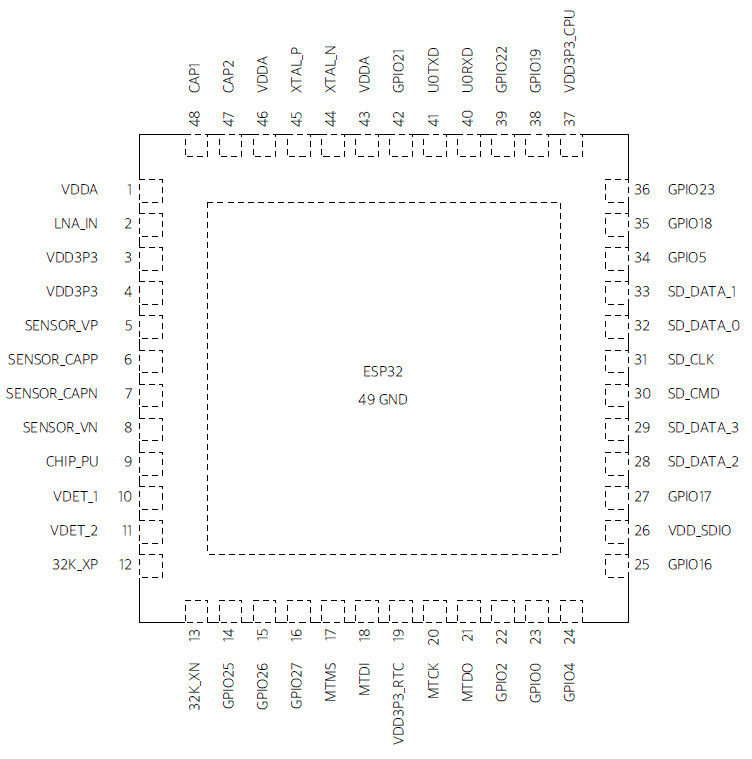 ESP32-D2WDs chip pins 25,27,30,31,32,33 are used for connecting the embedded flash, and are not recommended for other uses.